One of the biggest things you can do to make money in No-Limit Hold’em is isolate limpers. That’s because limpers are normally the biggest fish at the table, and they’re also unsure about their hand. Of course, just knowing that you should isolate limpers isn’t going to get you very far, so here’s a look at how to do this profitably. What Limpers should you isolate? Just because somebody limps into a pot doesn’t automatically mean that you’re going to win money off of them. For example, a late position limper might just be limping because they have an average drawing hand, and they don’t think that the blinds will raise them. Instead, you want to be isolating early position limpers because this is the worst spot to limp from. Assuming you know about table position, being early position requires a strong hand to play. In fact, you need to be looking to raise from early position; however, if somebody is merely limping in, they probably don’t have the strongest hand. Along with this thought, you need to have good table position yourself to isolate a limper. As a good rule of thumb, stick to isolating from the cut-off or button. Of course, you should have a decent hand too that will give you some outs in case the limper hits something on the flop. Before you dive right into isolating limpers, keep in mind that you should have some information on the player first. The reason why is because you don’t want to be isolating somebody who’s limping in from early position because they want to trap someone with pocket kings. If the limper hasn’t show much ability beforehand, then you’re good to start isolating! Depending on the table makeup, you should be able to isolate a micro stakes limper with a 6X the big blind raise; if there are limpers in front or calling stations playing behind you, add an extra big blind for each one. This raise should be enough to scare off any other players and get the limper thinking about calling. Even if the limper folds, you want to stick to a large raise because the worst scenario is having two other players call and waste the post-flop value of your hand. Once the flop is dealt, you have control of the hand with position. 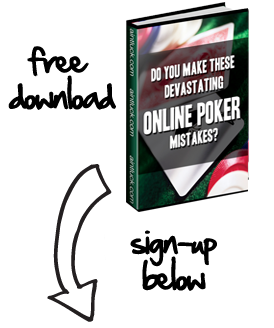 For example, if you miss the flop and the limper checks, you can raise them and win the pot. In any case, isolating a limper when you’re in late position gives you a strong chance to win some extra chips.